Metro Express Service has been providing quality air conditioning services, including installation, repair, and general maintenance, to the Dallas-Garland Metroplex since 1987. This means our AC Repair technicians operate based on a background of over 20 years of experience. We offer our customers quality professionalism, as well as guaranteed satisfaction with the products we install and repair. Change or clean your air filters every month. This will improve airflow so your system isn’t overworked (which can affect system efficiency), and will ensure your indoor air is as clean as it can be. Regularly inspect the outdoor unit and remove dirt and debris. The unit should have several feet of clear space surrounding it to ensure nothing is blocking its ability to draw in air. Make sure the dryer’s vent is at least 10 feet from your indoor and outdoor units to ensure lint from the dryer doesn’t become attached to the AC’s condensing coils, lowering their efficiency. Clean the coils frequently. Keep in mind while cleaning the coils that they can be easily bent, which will lower energy efficiency. Check your manufacturer’s recommendations for cleaning recommendations, but most of the time you can use a garden hose, a cloth, and warm, soapy water. Ductwork inspection. You should have your ductwork professionally cleaned every few years to remove any obstructions that may be present than can cause your AC to overwork. If your system is beyond the point of needing maintenance services and is having issues requiring AC repair, Garland residents know to call the best in the business – Metro Express Service. Air conditioner issues magnify over time and can go from being minor issues to serious problems. Watch for excessive noise coming from your system, ice forming on the system’s coils, too little or no cool air coming from your vents, low air pressure, or a sudden increase in your energy bills. If you experience an issue after hours, don’t worry! We offer 24-hour emergency services. Contact us today for air conditioning and heating repair in Garland home and business owners! Thankfully, residents of Garland, TX have an ally when it comes to heater repair: Metro Express Service. Metro Express Service is a trusted name in HVAC repair in the Garland area, and they can help you too. Metro Express Service offers a variety of maintenance and heating repair services, including inspections and furnace repair. Having your heating unit inspected on a regular basis, even during the warmer months, can lead to increased efficiency and lower utility bills. Another reason Garland, TX residents are encouraged to seek out Metro Service Express is to protect the value of their homes. Problems with a heating system can lead to fires and other property damage, even during the summer. 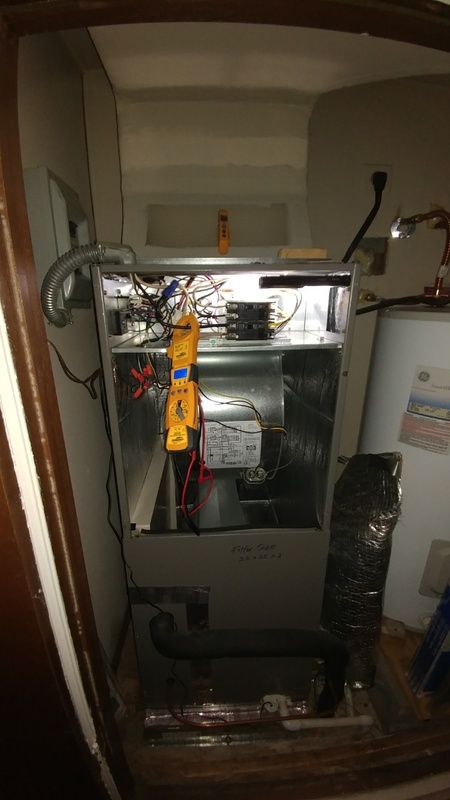 Even if you don’t think your heater is having issues, it’s still a smart idea to have the professionals at Metro Express Service inspect your unit on a regular basis. During the winter, when most of us run the heating system daily, your heating system may take a beating. It is smart to schedule routine heating system maintenance. Regular maintenance can extend the lifespan of your system, reduce the risk of costly repairs, and stabilize your monthly heating bills. Of course, you need to take the first step. Pick up the phone and call Metro Express Service. We provide you with expert heating system maintenance designed to catch the smallest of issues immediately. During routine maintenance, Metro Express Service technicians will examine your entire heating system. We clean the main cabinet and ductwork, replace filters, inspect the base pan, sniff out odd odors, listen for unusual noises, inspect the wiring, and so much more. We guarantee that any issues will be resolved then and there. You are truly in good hands! If you are suffering from any of these issues, we urge you to call Metro Express Service immediately. Our certified technicians can get your heating system up and running promptly! As a homeowner, you have a responsibility to yourself and your entire family to provide comfort and heat when the temperature drops off. If your furnace is not in working order, illness and discomfort are only the beginning. Every household needs a working heating system. At Metro Express Service, we aim to provide the top furnace repair service in Garland, TX. From the most basic of repairs to extensive jobs, we do it all for the community. Metro Express Service also offers a variety of HVAC services in addition to their heating repair services, including air duct cleaning and air conditioning repair. If you’re in the Garland, TX area, and you’re unsure about your current system, call Metro Express Service today at (817) 516-0700 or (817) 516-0700 to schedule an inspection appointment. We serve entire Garland, TX 75040, 75041, 75042, 75043, 75044, 75045, 75046, 75047, 75048, 75049, 75082, 75089. Garland is a blend of old and new, of affluency and industry. There are a number of older neighborhoods in Garland with excellent historical value, while the North Garland area is a zone of new construction and upper class living. Metro Express Service offers quality service to the Garland community. Second time I have had Sean out to the house for different issues. In each instance he listens to what the problem is & very quickly addresses it. He is a very good & competent tech. MES is the best! From the time I called they have been prompt, thorough, very experienced, and explained all my options to fix my problem. They do what they promise. The technician was very curtiuos. His knowledge and experience put me at ease. He explained things in a way that I could understand. I felt confident that i was purchasing a quality unit. Mr.Head knew I had no heat so he brought in some firewood! Now that's service. Adam was our ac Rep who came out to my moms house. He was early to the appointment. Made a quick diagnosis was personable and explained every step he was doing. Very much appreciate Adams expertise and help for my mom. Would highly recommend him and will use again. Check HVAC system. Secure wiring and test system. Service air conditioner. Change filter. Wash condenser. Check refrigerant. Service air conditioner. Wash condensing unit, add refrigerant. Check safeties and drains. Evaporator coil leaking refrigerant. Adjust refrigerant and schedule replacement. Proposal for New Trane down flow furnace and coil. Outside fan not running. Replace failed capacitor in air conditioning system.